HRBC's aim is to help organisations in the public, private and voluntary sectors to identify candidates who may be unsuitable to work with children or other vulnerable members of society? 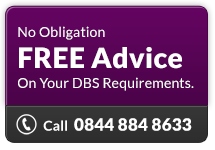 Our DBS On-line application service is designed to help You to carry out Disclosure checks (DBS Disclosures) and to provide You with up-to-date DBS information in order that You can make informed recruitment decisions based upon the Disclosure and Barring Service checks, (DBS checks), on the suitability of staff and to provide greater protection to children and vulnerable adults. Both these levels of Disclosures contain details of all convictions on the Police National Computer (PNC) – including ‘spent' convictions. These ‘spent' convictions are ones that happened some time ago and normally do not need to be revealed as specified in the Rehabilitation of Offenders Act 1974. Both levels also contain details of any police cautions, reprimands or warnings. Also for posts involving contact with children they contain any relevant information contained on the government department lists held by the Department of Health and the Department for Education and Skills. The essential difference between Standard and Enhanced is that Enhanced Disclosures are for positions which involve greater (often unsupervised) contact with either children or vulnerable adults. For example, the type of work might involve regularly caring for, training, supervising or being in charge of such people. Primarily available for anyone involved in working with children or vulnerable adults, as well as certain other occupations and entry into professions as specified in the Exceptions Order to the Rehabilitation of Offenders Act 1974. Standard Disclosures will show current and spent convictions, cautions, reprimands and warnings held on the Police National Computer. If the post involves working with children, DH and the DfES lists will also be searched for relevant information. This difference is reflected in the depth and detail of checking that is carried out for Enhanced Disclosures. In addition to all other checks, Enhanced Disclosures also involve an extra level of checking with local police force records. The highest level of check available to anyone involved in regularly caring for, training, supervising or being in sole charge of children or vulnerable adults. It is also available for certain licensing purposes and judicial appointments. Enhanced Disclosures contain the same information as the Standard Disclosure but with the addition of any relevant and proportionate information held by local police forces.